CASE: A fraternity house rented a parking lot to host a party. A member of the fraternity was sitting on a couch located on the property when another fraternity brother, who was later determined to be drunk, ran over the couch on which the plaintiff was sitting. The couch came to rest in such a way that the turning of a suspended wheel burned the plaintiff’s ear off. The main fraternity was sued for negligent promulgation and enforcement of its own rules and negligent supervision including negligently allowing minors to purchase and consume alcoholic beverages. 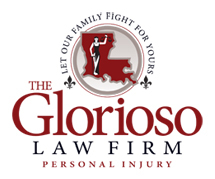 The Glorioso Law firm made a point of noting to the National Fraternity President, that while the law firm was plaintiff’s counsel, he was the plaintiff’s “brother.” The case was settled for $1,500,000.